This space is a blog mom's dream. 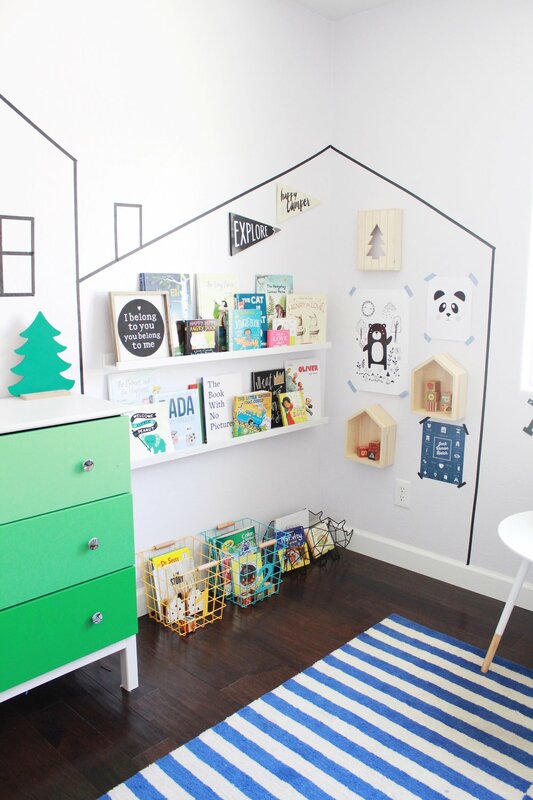 The two children's rooms bring cool tones and bright details to create a welcoming and adorable feel. Playful patterns on walls, unique accent pieces, book collages, homey artwork, and textured pillows- make for two cohesive and modern toddler rooms.